"We highly recommend LPA for all your beauty needs!" "Lovely, genuine people with excellent customer service!" 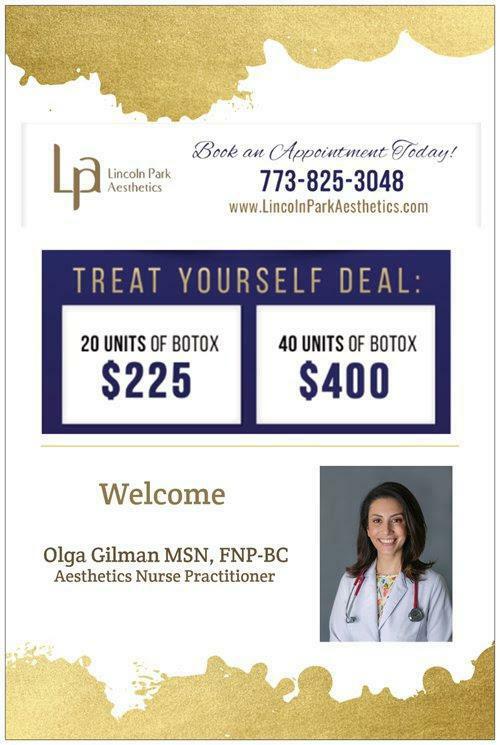 Lincoln Park Aesthetics is Chicago’s choice for premier aesthetic services and cosmetic procedures. 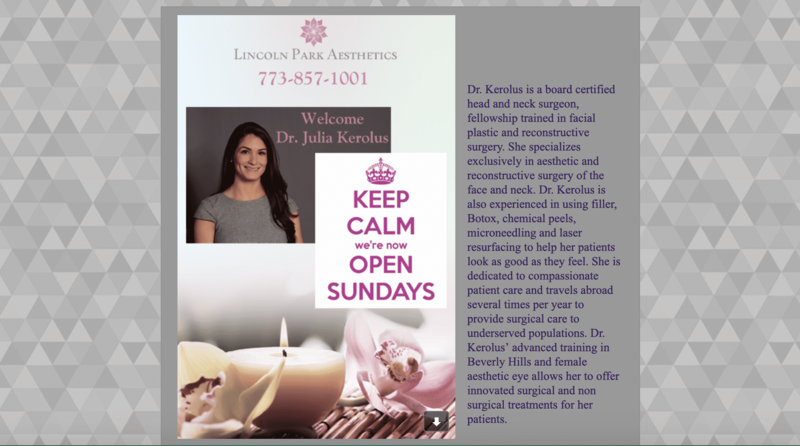 Lincoln Park Aesthetics is directed by Karol Gutowski, MD, FACS, a nationally recognized, board-certified plastic surgeon with a reputation for excellence in aesthetic surgery, as well as non-surgical medical procedures. Located in the historic Armitage-Halsted District of Chicago, Lincoln Park Aesthetics is a state-of-the-art medical facility, equipped with the most advanced and effective aesthetics technology. This allows the expert team of aesthetics professionals to offer a range of services that restore, revitalize, and rejuvenate in a safe, relaxing environment. The highly trained and experienced team makes patient satisfaction a priority at every visit. Appointments are never rushed, and questions are always encouraged. Every provider at Lincoln Park Aesthetics is dedicated to sharing knowledge and addressing concerns in a way that is accessible and easy to understand. New patients who would like to learn more about facial treatments, dermal fillers, laser hair removal, or cellulite reduction, or would like to explore surgical options, are encouraged to schedule a consultation with a caring, qualified provider. Call the friendly office team to make an appointment or book online today. 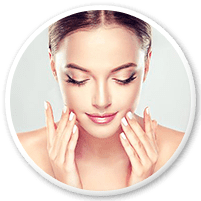 Ultherapy is the only non-surgical, FDA-approved procedure that uses ultrasound to lift the skin, improving tone for a more youthful appearance. Laser hair removal uses a focused beam of light to target your hair follicles, destroying hair as it forms before it has grown out from your skin. 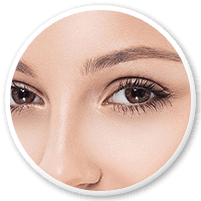 The laser beam is precise, so only the cells that produce hair are damaged, and the rest of your skin is not affected, leaving your skin supple, soft, and free of unwanted hair. Karol Gutowski MD, FACS is a nationally recognized board certified plastic surgeon with a reputation for excellence in aesthetic surgery and nonsurgical aesthetic procedures. He is a frequent lecturer and teacher of other plastic surgeons throughout the country and has published numerous articles on all aspects of plastic surgery which are profiled in publications throughout the world. Highly respected by his peers and colleagues, Dr. Gutowski continually strives to improve the outcomes and results for his patients. Dr. Gutowski earned multiple national awards and honors for his work. Rachel Kelley Schulman, MS, PA-C is a board-certified physician assistant. She has a Master of Science degree in Physician Assistant Studies from Rosalind Franklin University of Medicine and Science in North Chicago, IL, where she graduated in the top of her class. Rachel completed clinical rotations in both medical and cosmetic dermatology, the latter of which was at Lincoln Park Aesthetics. Anna Ulyanov RN, BSN is a certified nurse injection specialist. Starting as a peri-anesthesia nurse in plastic surgery, Anna discovered her true passion of cosmetic injections for botox and filler. She has performed over thousands of non-surgical cosmetic injections. She loves to help clients to look and feel their best. Jenna first discovered her affinity for skin care during cosmetology school back in 2002. After stepping away from the industry to earn a B.S. of Nutrition and an M.S. of Acupuncture from the Midwest College of Oriental Medicine, she felt it was time to return to her earlier passion. In 2012 she attended the International Skin and Beauty Academy, receiving her License of Esthetics, and graduating at the top of her class. In the treatment room, she now draws on her wholistic healthcare background and strong working knowledge of cosmeceutical ingredients to design thoughtful, tailored treatment plans for her clients, creating lasting results. Lauren is a result oriented Licensed Esthetician with a degree in digital art, specializing in photography with a background in anatomy and fitness. In 2013 she attended The International Skin/ Beauty Academy and received advanced training to achieve her Illinois Esthetics License. Lauren’s interest and passion for the medical aspects of esthetics has been apparent from the beginning of her career. She immediately started her career as a Clinical Esthetician working closely with a prestigious team of Cosmetic Surgeons. GeGe is a licensed Esthetician with over 17 years of experience, who possesses a life-long passion for beauty & wellness.  GeGe is a member of the Associated Skin Care Professionals (ASCP), the nation’s most significant professional association for skin care professionals. GeGe is skilled in both routine & advanced skin-care procedures; including but not limited to, deep cleansing, chemical & manual exfoliation, as well as clinical-level procedures, such as semi-permanent laser hair removal and Skin Tightening. Jordan has a passion for empowering women to feel boundless and uninhibited by insecurity. She has a bachelor’s degree in Human Relations from the University of Oklahoma. In 2015. She launched The Beauty Clause, a book project dedicated to discovering and understanding beauty standards in cultures around the world. She traveled to 16 countries and interviewed 200+ women. Bianca joined the LPA team during fall 2017, as a patient advocate. She’s familiarized herself with all of the treatments and products that we offer. Working at the front desk has helped her to transition into her career as a licensed esthetician. Bianca graduated in the year 2015 from the Douglas J Aveda Institute in Chicago. Bianca strives to provide clients with an experience that is friendly and educational, always seeking to provide clients with the best service. Bianca loves kids and seems always to have a reason to smile. Growing up with the cystic acne for Meagan was not easy. Numerous dermatologist visits and treatments lead to greater disappointments, which motivated Meagan to pursue the education in skin care, so she can help her self and others who struggled with the same problems. Jasmyne joined the Lincoln Park Aesthetics team in February of 2018 as a patient advocate. She strives to provide the best customer service she possibly can and to ensure that our guests are always greeted with a friendly face. Working at the front desk will help her to transition into her career as a licensed esthetician as she has familiarized herself with all of the treatments and products that we have to offer. She graduated Tricoci University of Beauty Culture and received her esthetics license in the summer of 2015. Jasmyne has a passion for both skincare and makeup and strives to help her clients look and feel their best. Is your skin dull and lifeless? Are you plagued with imperfections that ruin your appearance? Could you use some relaxation? A professional facial not only provides stress release, but it can resolve several skin issues you can’t beat at home. "The staff was friendly and professional and put us all at ease. I strongly recommend LPA." "She is very professional, friendly, and her results are stunning. I absolutely recommend her." "I've visited several well know places for hair removal and this place is at the top of my list for results and professionalism."